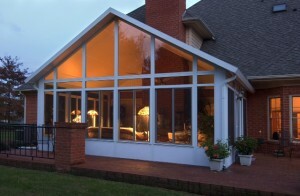 Are you considering adding a sunroom to your home in St. Paul, Minnesota? If so, turn to the experts at U.S. Patio Systems and Home Remodeling. We offer high-quality sunrooms from the industry-leading manufacturer TEMO. This means that your new sunroom will be both beautiful and long-lasting – what more could you want? Walls-only – Transform your existing patio into a room with floor-to-ceiling windows. California – If you have a multistory home that could use some extra natural light, this is the sunroom for you. Studio – This style is one of the most sought after since this design can be used in 1-wall, 2-wall, and 3-wall setups. Conservatory – If a classic European look is more your style, you’ll love this option. With this design, you will also have your choice of a squared or faceted version to choose from. Solarium – If you desire an elegant look that includes full glass windows and a beautiful glass ceiling, this is the design for you. Regardless what style you choose, you can expect your new sunroom to be durable and low-maintenance, which means you will get to spend more time enjoying your new home addition and less time worrying about its upkeep. For more information on the sunroom varieties we have available for homeowners in the St. Paul, MN, area, contact U.S. Patio Systems and Home Remodeling today.